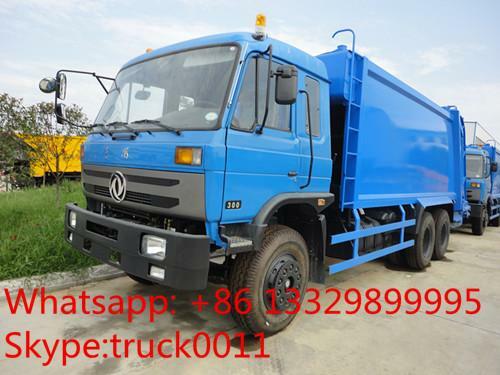 Garbage compactor truck ,also called garbage compactor,truck compactor,compression garbage truck ,compressed garbage truck ,garbage compactor truck for sale ,waste truck container garbage truck,hydraulic cylinder garbage truck etc. 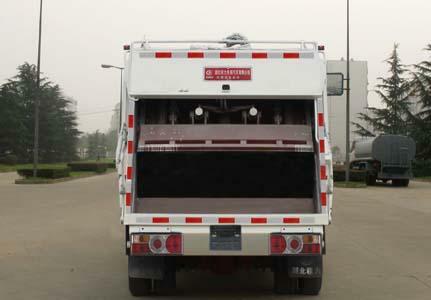 Garbage compactor truck is composed of hermetic garbage box body,hydraulic system,control system etc . Garbage compactor truck could automatic compress ,dump trash .the main parts of garbage compactor all adopts imported parts. Garbage compactor truck eqipped with waste water tank ,all waste water run into tank to avoid the second pollution during transport. 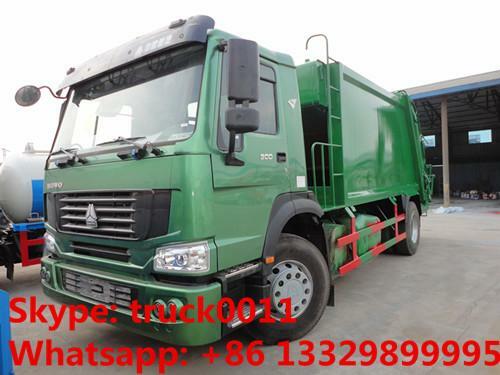 If you're interested in our garbage truck, please send email to szhj9999@163.com or call +86 13886878855. 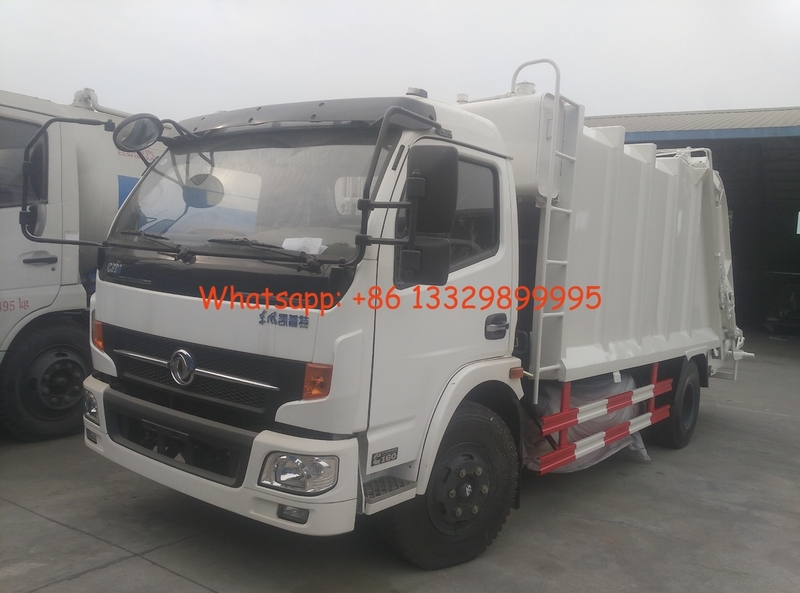 Our refuse compactor for sale is constructed with 12# low alloy steeland 5mm, 4mm, 10mm steel.The body is fitted on the chassis by the truck beam.The body floor is fully sealed. All the sewage can go directly into the sewage tank,so as not to corrode the body and chassis .Moreover,it can also prevent the sewage leakage while the truck is driving on the road and avoid the secondary pollution. The hydraulic garbage compactor truck usually compacts the waste using a hydraulically powered mechanism that employs a moving plate or shovel to scoop the waste out from the loading hopper and compress it against a moving wall. In most compactor designs, the plate has a pointed edge (hence giving it the industry standard name packer blade) which is designed to apply point pressure to the waste to break down bulky items in the hopper before being drawn into the main body of the truck. There are three kinds of mechanism options available to the customer,barrel turnover mechanism,panel turnover mechanism and tipping mechanism.by the use of hydraulics,the barrel is locked during the overturning process,which is very safe and reliable. 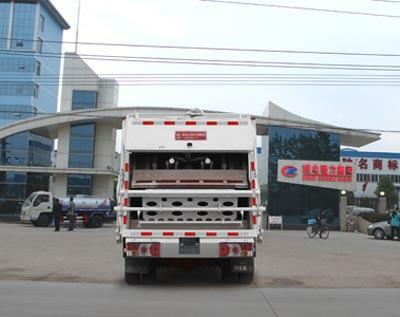 As a professional garbage compactor truck manufacturers in China, with ISO9001-2008 quality system and 3C certificate, the waste garbage compactor trucks capacity is from 4m³ to 18m³.